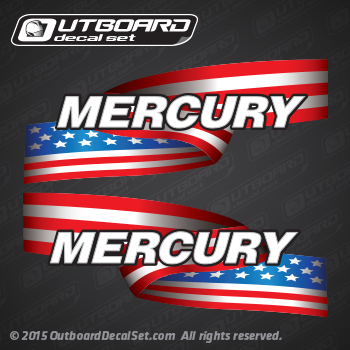 Mercury U.S Flag decal Sold by Set for any Outboard. Please choose out of our various sizes, Price vary in Size. Includes one decal for each side.